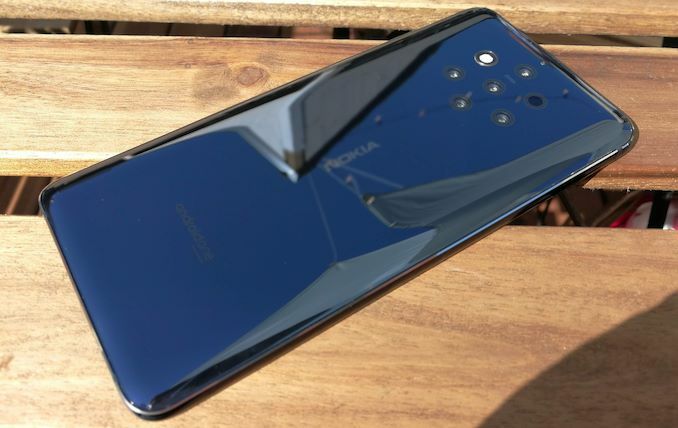 Earlier this week at Mobile World Congress, HMD Global introduced its new top-of-the-range Nokia 9 PureView smartphone. The new handset brings in a unique camera featuring six modules (five RGB/monochrome sensors, and Time-of-Flight sensor) co-designed by Nokia, Light, and Zeiss, coupled with Nokia’s latest photography software. 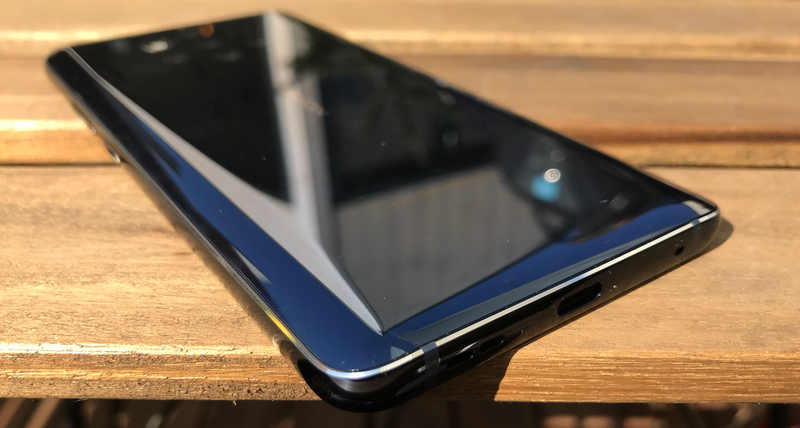 As the technology behind the phone was explained in our initial coverage, this piece will focus on design, comfort of use, and overall impressions about the handset. As we noted in our original coverage, the Nokia 9 PureView uses a pretty typical smartphone body design of a 6000-series aluminum skeleton paired with Corning’s Gorilla Glass 5 on both sides. The frame of the phone is further rounded on the sides with chamfered, diamond-cut edges. 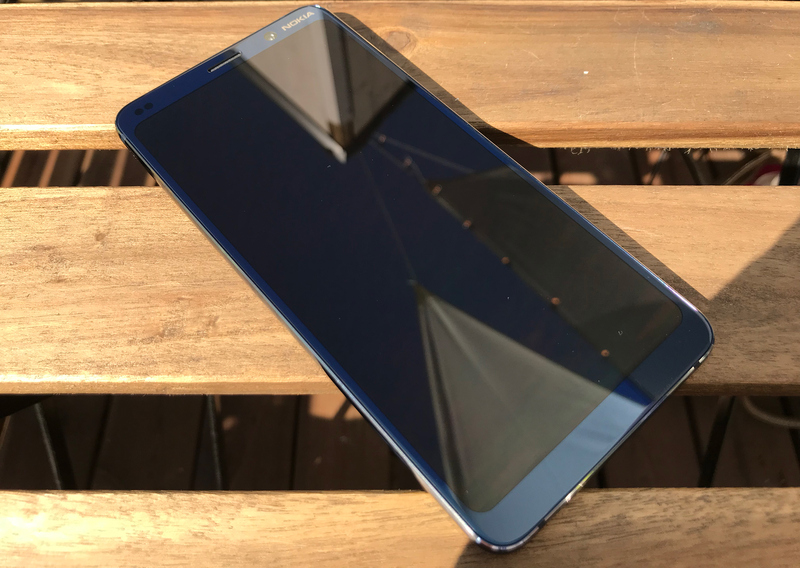 Unlike the Nokia 8 Sirocco, the Nokia 9 PureView does not use a display that is curved along the side bezels of the device, but instead uses a “classic” flat pOLED 5.99-inch screen that offers a 2880x1440 resolution and includes an in-display fingerprint scanner. 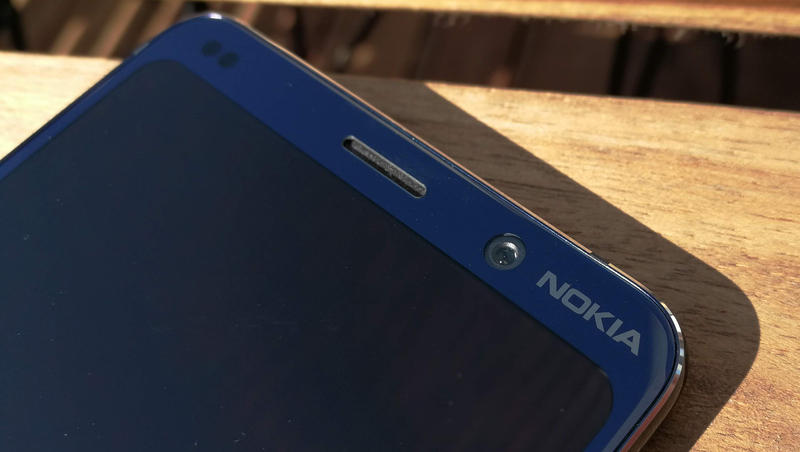 The N9P will be available in only one color: an almost black "deep blue". The color of the Nokia 9 PureView is meant to emphasize the device's position at the top of Nokia’s lineup, and it does manage to do this thanks to its fantastic looks. While the seven-element camera design gives the phone a very industrial appearance, the colour of the phone does give it a much more approachable feel. 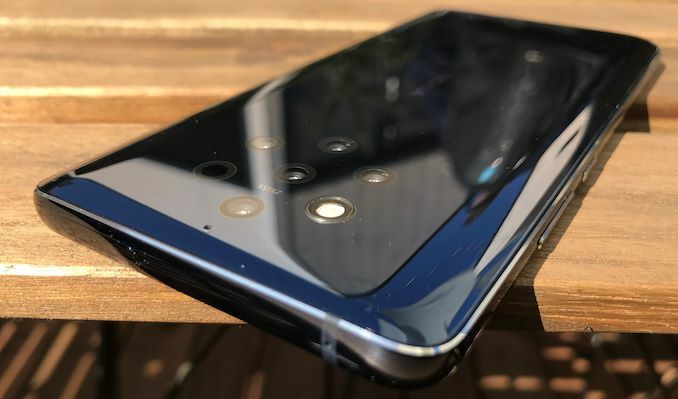 According to Nokia/HMD, one of the reasons why the company decided to go with rounded edges on the Nokia 9 PureView's – rather than the trapezoid-like design of the Nokia 8 Sirocco – was to improve user comfort when taking pictures. The phone has a very comfortable in-hand feel, and the diamond-cut edges of the handset allow for a very firm grip on the phone when taking photos. The Nokia 9 PureView is based on Qualcomm's now last-generation Snapdragon 845 SoC. 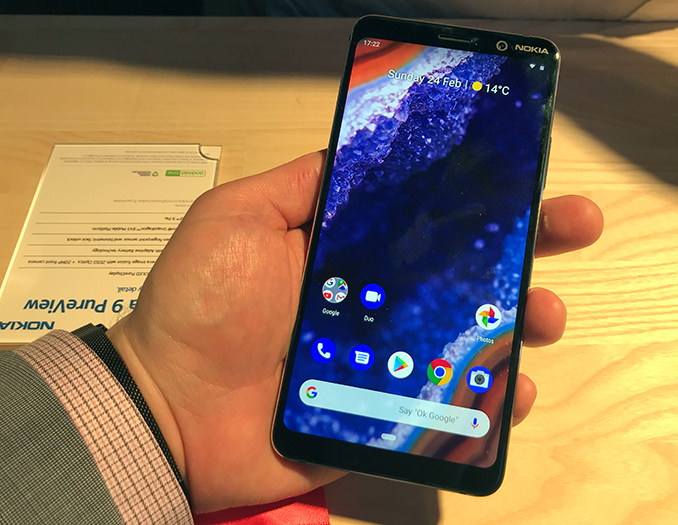 Nokia's choice in SoCs puts the phone a bit behind the ball in terms of flagship performance, but given that the phone is clearly being built around its camera capabilities first and foremost, it's not too surprising a choice (especially as this first-gen products typically take longer to come to market). And in any case, although SD845 is no longer the king of the hill in Android SoCs, it can put up good numbers and keep things running smoothly. Meanwhile the interface of the camera software was adjusted avoid accidental switching from one mode to another, which sometimes happens on other phones during intensive usage. Along those lines, Nokia has been ensuring that third party software works with their camera system as well, telling us that both Adobe Lightroom CC and the Google Photos already "know" how take advantage of the advanced six-module camera. As an aside, even though Nokia is taking care to support Lightroom CC (and to publicly mention doing so), I was a bit surprised to find out that Lightroom CC itself is not pre-installed. This, as it turns out, is because the company is looking to avoid pre-loading unessential software on its phones. In general, the Nokia 9 PureView feels like a great phone that promises to shoot pictures of excellent quality in all weather and lighting conditions, which is of course its key feature. Getting there means that Nokia has made some design trade-offs – such as the aforementioned SoC choice and even the decision not to include a 3.5-mm audio jack – but as high-end smartphones have increasingly become homogeneous, it’s nice to see someone experimenting by going in a different direction. Due to lack of time and consistent access to the Nokia 9 PureView hardware, it was impossible for us to try out its camera in real-world conditions. As a result, all we can share are images shot on the Nokia 9 Pureview as distributed by Nokia. If we recall Nokia’s traditional model naming concept (which was described here), the 9-series phones were positioned as the company’s most advanced handsets from technology standpoint. The first Nokia 9000 Communicator phone was introduced at CeBit 1996, and to a large degree we may think of it as about the grandfather of today’s smartphones. The device featured a QWERTY keyboard in a horizontal clamshell design, a display with a 640x200 resolution, a web browser, a variety of business applications, among other capabilities that have greatly evolved since then. Being aimed at business users, the Communicator featured a very strict design that was hardly attractive to general audience, and could probably startle the fashion-minded crowd (which used their Nokia 8-series phones). The price and the looks clearly made the Nokia 9-series Communicator a very niche product. The last Nokia 9300 Communicator was launched in 2004, two years later it was replaced by the Nokia E61 smartphone with a QWERTY keyboard. In all, I feel that the Nokia 9 PureView represents a high-water mark for HMD Global has in terms of hardware and software. It is not exactly a successor to the classic Nokia 9-series (it is positioned rather differently), but the high-tech nature of the device is evident. So the biggest question facing the phone, I suspect, is not going to be about specs or build quality (or even style), but rather whether the demand exists in the consumer market for such a camera-heavy phone. Thus far Apple has definitely made a name for themselves in this field with their most recent iPhones, and HMD seems primed to take that one step further. Never ever again will i buy a Nokia phone made by HMD Global. My current Nokia 7+ is a real disappointment. It is really laggy when inputting with either a crap digitzer or a slow CPU being the reason. It's battery time is so so. But now the USB-C port is glitchy so that it is almost impossible to charge it. It is almost on the point of not working anymore. This is the worst phone I have ever owned (in relation to how much it did cost). I couldn't disagree more. I find the phone handles most of what I throw at it with general ease, the battery can last me for 2 days (all the reviews also point to a great battery life), and I've had no issues with the USB port. I understand your frustration. It's really disheartening to buy a device and have it malfunction for no apparent reason. I have read about faulty 7 plus phones but it does not seem to be a universal thing. I know people who have one and haven't faced such issues. Is it from an early production batch? It's possible that yours was faulty from the factory. I suggest you return it, if it's not too late, or send it in for warranty repair. "Due to lack of time and consistent access to the Nokia 9 PureView hardware, it was impossible for us to try out its camera in real-world conditions. As a result, all we can share are images shot on the Nokia 9 Pureview as distributed by Nokia." "The color of the Nokia 9 PureView is meant to emphasize positioning of the device at the top of Nokia’s lineup".